Asafoetida | Life's Conundrum - Eat to Live or Live to Eat? 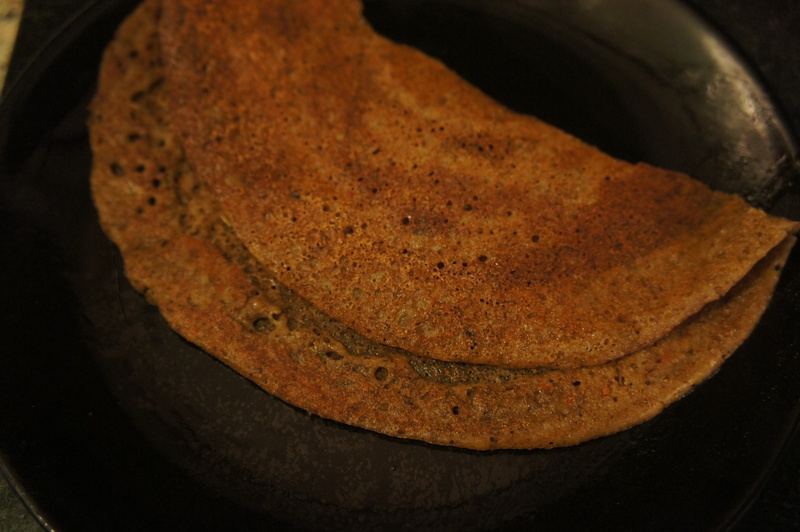 Adai is a typical South Indian dish akin to the more popular dosai but the batter tends to be thicker and coarser. 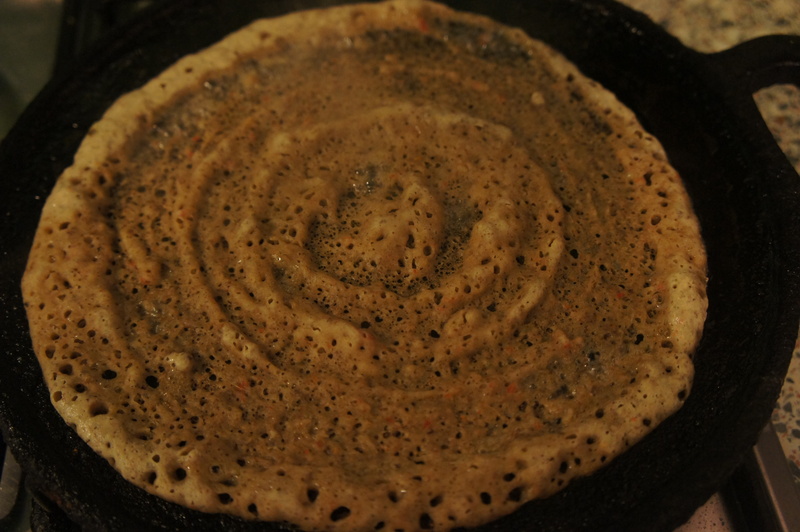 Traditionally adai batter consists of a blend of rice, tuar dhal, red chillies and asafoetida. 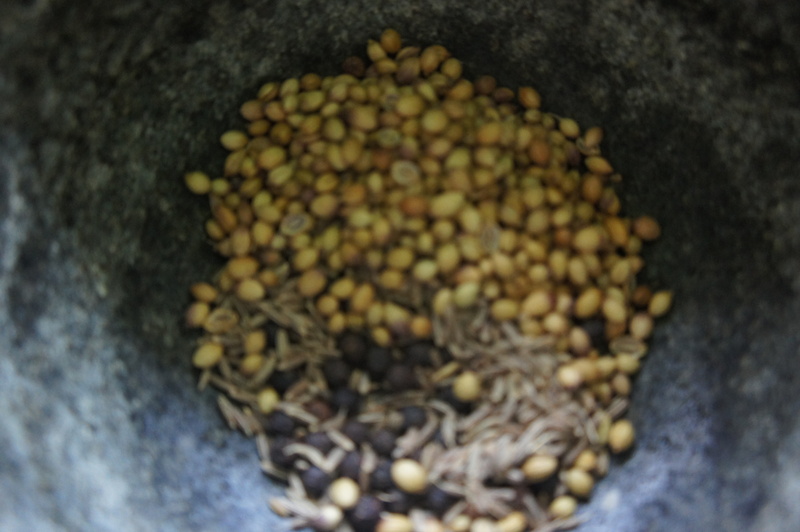 The recipe below replaces the tuar dhal with horse gram and we have added a few extra ingredients. The adai turned out very crisp and tasty. Soak all the ingredients with some cold water till they are completely immersed and leave overnight. Grind the ingredients with the water till you get a thick spreadable batter. You might need to add more water during the grinding process to get the consistency right. Leave the batter overnight to ferment a bit. To prepare, heat your pan and spread a laddle of batter to form a disc. 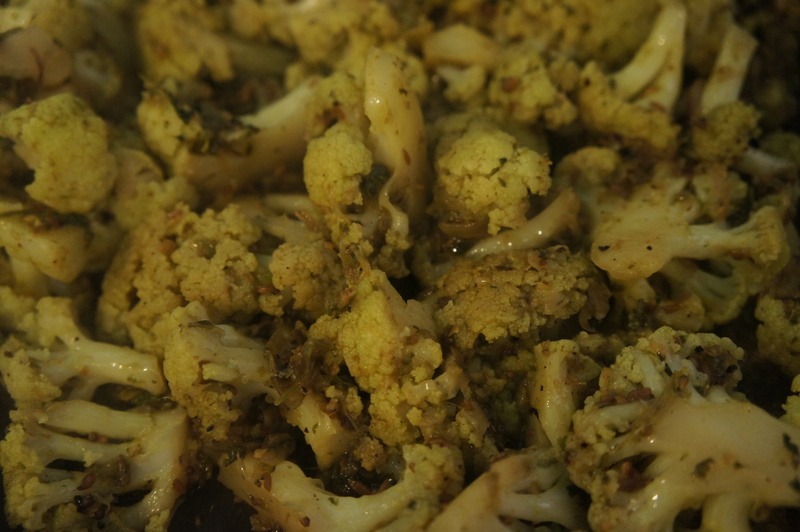 Drizzle with some vegetable oil or sesame oil (for a more authentic taste) to ensure the adai doesn’t stick to the pan. Cook on both sides till done. In the South of India you get two different varieties of chutneys – either one with fresh ground ingredients or the cooked type. 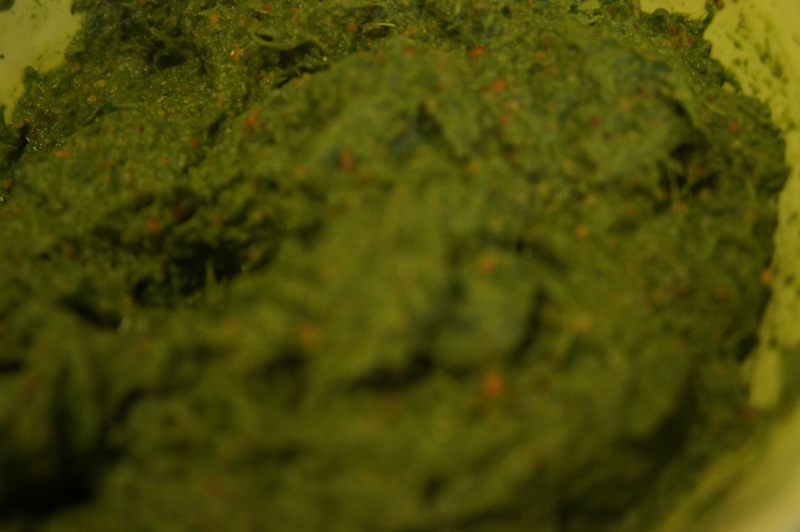 We tried using parsley as the core ingredient for a cooked chutney and were pleasantly surprised with the outcome. 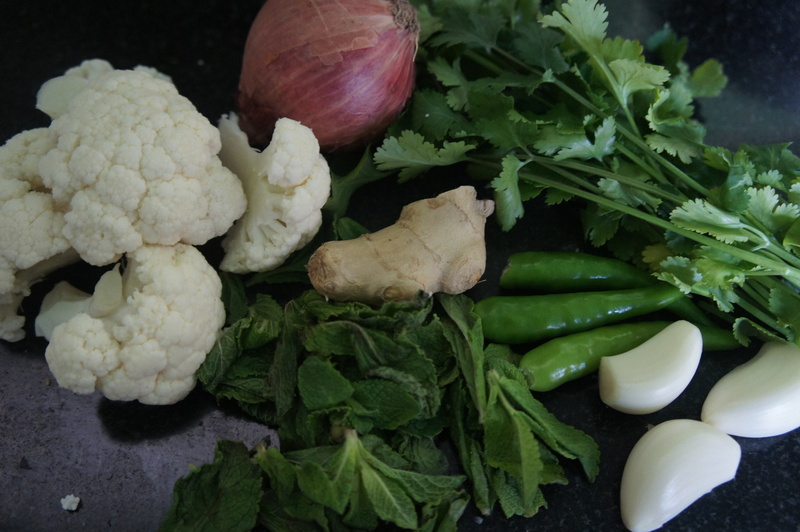 The taste is slightly unusual at first as parsley is not a native Indian herb but after the first few mouthfuls your taste buds get used to it and it is quite enjoyable. First heat a tablespoon of oil and temper the urad dahl, red chilli and asafoetida till the dahl changes to a golden brown colour. Cool and dry grind the ingredients to a powder. Heat a pan and add a tablespoon of oil and then add the chopped parsley and cook for five to ten minutes till the parsley has wilted and cooked. 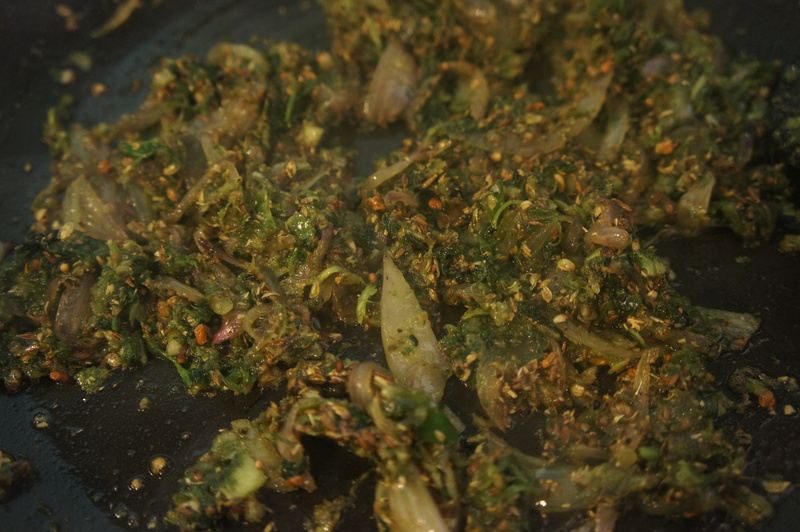 Transfer the cooked parsley into a blender and add the tamarind paste and a bit of salt and blend to a paste. 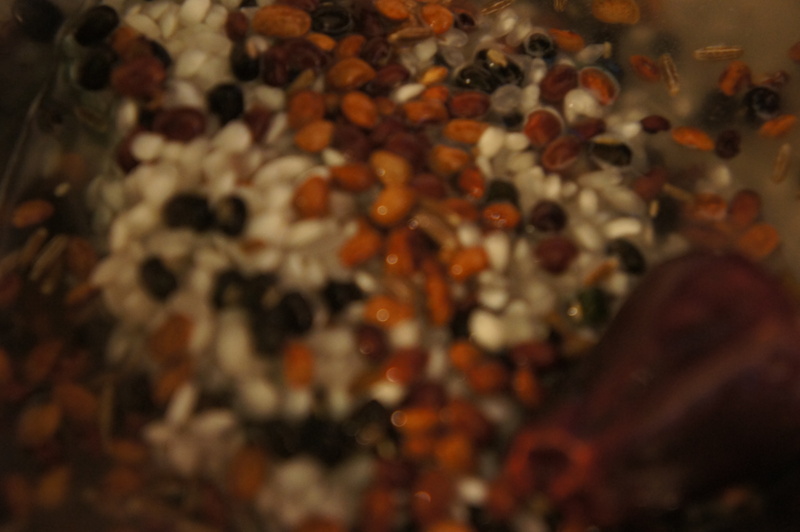 Place paste in a bowl and then add the powdered ingredients till it is full incorporated into the paste. Enjoy with plain boiled rice or as a spread on toast.